Turn an inexpensive roll of crepe paper streamers into fun valentine heart streamers with this easy tutorial. These would be a great way to decorate for a Valentine's Day party. You could even mix and match it with one of the many other crepe paper streamer ideas. 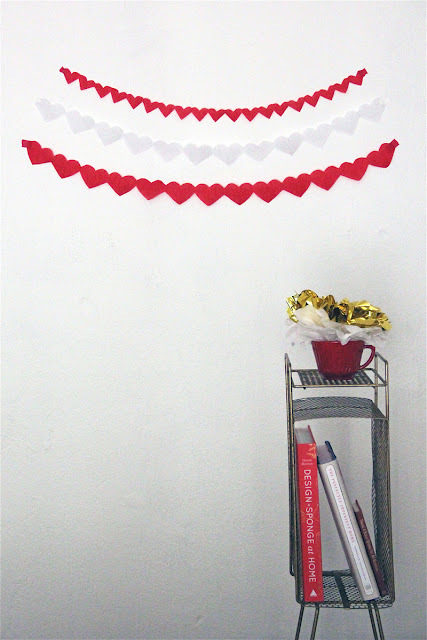 You can see the valentine crepe paper streamer tutorial over at Studio DIY. Thanks for the shout out, glad you liked the streamers! Happy (early) Valentine's Day!